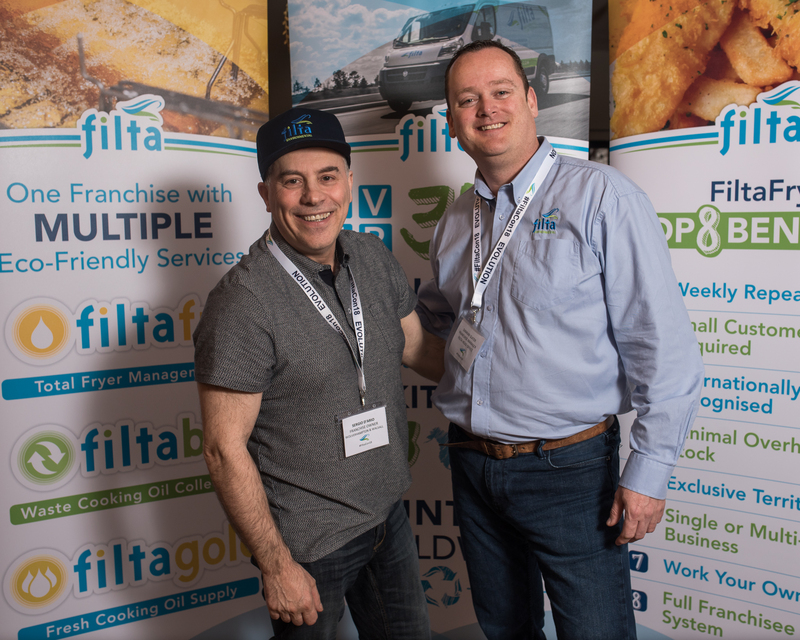 Point Franchise caught up with Damian Slater who is the Franchise Manager at FiltaFry to hear how he went from being a FiltaFry franchise master license holder in Greece to overseeing the franchise recruitment in the UK. What attracted you to a career in the world of franchising? I used to own and manage a FiltaFry franchise of my own in Greece back in 2004/5, but I decided to relocate back to the UK with my family when I saw the Greek economy’s downturn on the horizon. I was offered a job back here at the Filta Group Head Office. It was an opportunity I couldn’t turn down, not just because the future of the business was strong but also because it’s something that I already had a passion for. And what attracted you to a career at FiltaFry in particular? I came from a restaurant and hospitality background as I had been running restaurants in Greece. The fryers were always a problem and the oil was an expensive commodity. Being able to run a FiltaFry business was a no brainer for me because I could see that sites would save money and appreciate the service being offered while I made a profit. The other major benefit of FiltaFry from a franchisee perspective is that it’s a weekly repeat business, meaning you only need a small client base to make a very good income. What would you say is your biggest achievement at FiltaFry? Taking FiltaFry to a new level is something I’m really proud of. We’ve turned it from a franchise classed as ‘buying yourself a job’ to a great lifestyle business for people wanting to work for themselves and either simply do hours that suit them or run a multi-van managerial franchise. I would also say that I have built a solid platform for all franchisees to enjoy a secure future. Along the way, I’ve built good relationships with all of our franchisees, which has helped them feel comfortable knowing they have a franchisor there to help them when they need the support. How has FiltaFry transformed since you joined the business? We have changed and updated the equipment, made it more user friendly, more efficient and a more uniformed approach for all franchisees. The training and support have also come a long way. Three years ago, we launched our bespoke inhouse operating system (FryTrack). This has made the day-to-day running of FiltaFry much easier for franchisees, with paperless billing and health & safety processes, all run from a tablet. It captures the details of the customer and the jobs and produces invoices. Why would you recommend FiltaFry to those thinking of opening a franchise? FiltaFry does exactly what it says on the tin: it’s a simple business anyone can run and operate, provided they are fit and healthy. You don’t need to be a salesperson, but you need to be a people’s person in order to meet and promote the FiltaFry service. It’s a weekly repeat business with low fairly fixed overheads, benefitting both the client and the franchisee. 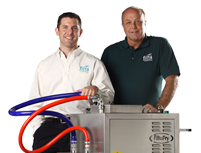 FiltaFry is a mature franchise that’s been around for over 21 years and continues to grow worldwide. The company became a public limited company two years ago, and the brand is going from strength to strength. What are the top three skills you look for in prospective franchisees? A people’s person with good communication skills. Fit and healthy with a go-get attitude. Always willing to go the extra mile and understanding that they only get out what they put in to their business. What advice would you give you prospective FiltaFry franchisees? Try not to over complicate things – it’s a simple business. Follow the system that FiltaFry trains you on. It works, and if you think you know better, this isn’t the franchise for you. Remember why you wanted to work for yourself in the first place and have an exit strategy from the beginning. It helps you to set targets and stick to them, and to remind yourself what you wanted to achieve. What are the biggest challenges facing the service industry at the moment and how is FiltaFry overcoming them? Brexit is having an effect on the service industry, especially when it comes to staffing matters. This means that costs are rising for businesses, but FiltaFry can help to lower these by reducing oil spend, staff time and labour costs, as well as bringing to light health & safety risks and potential insurance payouts. What are your current focuses/goals for FiltaFry? 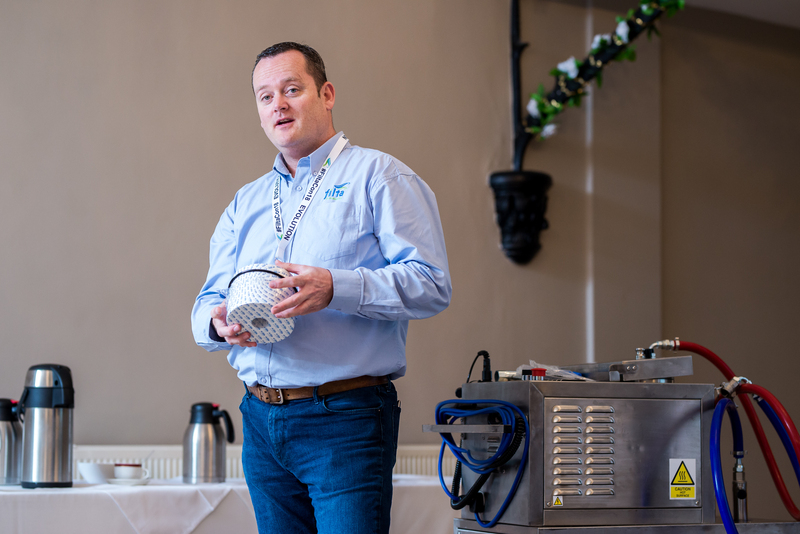 My aim is to continue to grow the Filta Brand to worldwide level, so that it becomes a recognised brand in the majority of commercial kitchens.